10 18) (2004) C (JGS ). 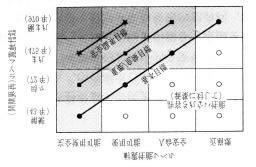 19) (2007) 07-03pp ) Watabe, Y., M. Tanaka and Y. Kikuchi (2006): Soil parameters used in the new design code of port facilities in 1) (2004): Japan, New Generation Design Codes for Geotechnical (JGS ). Engineering Practice Taipei 2006 (eds. Lin M-L et al. ), p and in CD-ROM, World Scientific, Singpore. 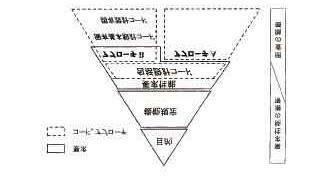 2) (2003) () 21) (2007) Ver pp.27 3) (2000) 21 Ver.1,, Vol. 48, No.9, pp ) (2002) Vol.50,No.1,pp.1-3 5), (2003) code PLATFORM ver. 1, Vol. 5, JCOSSAR, pp ) (2003), Vol. 5, JCOSSAR, 7) (2004): Vol52, No.2, pp ) (2004): Vol.52, No.12, pp ) (2004): pp. 10) Honjo, Y. and O. Kusakabe (2004): Some movements toward establishing comprehensive structural design codes in Japan: 'Geo-code 21' and 'code PLATFORM ver.1', Proc. of the 3rd Civil Engineering conference in the Asian region (CECAR), pp (paper number T5-4), Seoul, Korea. 11) Honjo, Y., Y. Kikuchi, M. Suzuki, K. Tani and M. Shirato (2005): JGS Comprehensive Foundation Design Code: Geo-code 21, Proc. 16th ICSMGE, pp , Osaka. 12) CIB(1998): Final report of CIB task group 11: performance-based building codes, CIB(International Council for Building Research Studies and Documentation) Report Publication ) NKB(1978): Structure for building regulation, NKB report No.34, ) SEAOC(1995): Vision Performance based seismic engineering of buildings, Vision 2000 Committee, Final Report, ) (2005): VI9 16) ISO(1998): International Standard ISO/FDIN 2394, General principles on reliability for structures. 17) CEN(1999): Draft EN 1990 Eurocode 0 Basis of design.